Here's a rundown of the best small towns in New Zealand, all of which have all the accommodation and amenities you'd need. 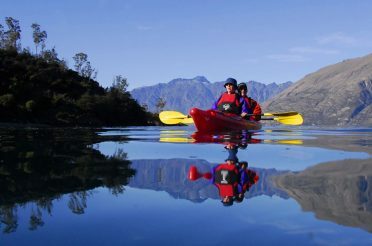 Stunning landscapes are the main attraction of self-drive trips and tours around New Zealand. But if you need rest and recuperation along the way, consider these following hidden gems. Laden with trees and surrounded by craggy rock slopes and golden rolling hills stretching into the distance, Clyde is a photogenic small town even by Central Otago standards. Especially during autumn when the leaves paint the town in amazing colours. It’s not only looks, though. 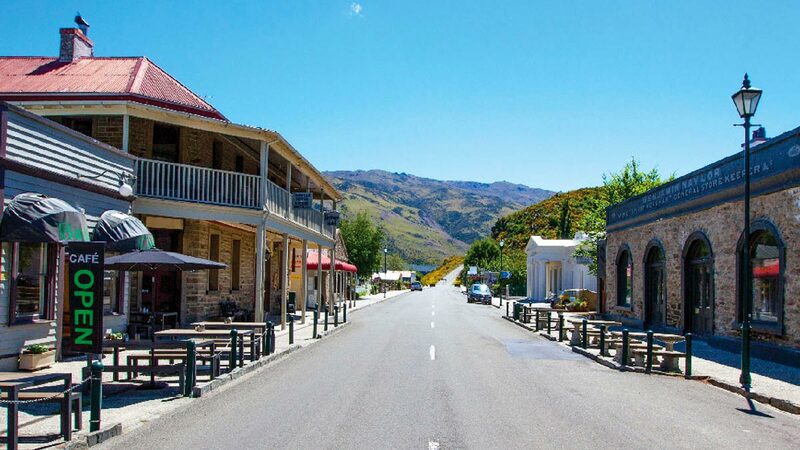 A 19th-century gold rush town without the crowds you’d find in Arrowtown, Clyde is drenched in old-timey vintage charm, with stone facades and old-school wooden signs lining its quaint main street. The popular 152 km Otago Central Rail Trail cycling route begins/ends at Clyde, and other beautiful cycling trails surround Clyde in all directions. 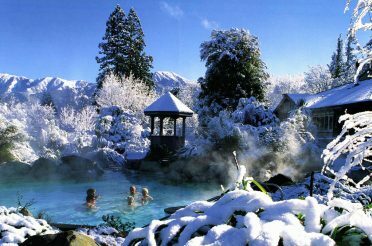 If you’d prefer to chill out in Clyde for the day, you’ll find a small selection of cosy cafes who pull a seriously good espresso, as well as a small museum and the fantastic orchard gardens, where kids can enjoy a playground, hedge maze and mini golf while adults relax in a tranquil setting. Clyde is home to one of Central Otago’s very best restaurants in Olivers, housed in the former Victoria Store building, a 150-year-old category 1-listed historic building. There’s even a cool little Clyde Cinema, showing the latest blockbusters or curated arthouse films in a stylish, casual setting different from any other cinema experience. A lot of tourists flowing between Christchurch, Dunedin and Central Otago often swing by Oamaru to see the world-famous little blue penguin colony that has decided to nest near the small town’s harbour. While this is a unique experience that shouldn’t be missed, Oamaru deserves a lot more than a flying visit. Oamaru’s historic harbour, once a vital, incredibly active port in the 19th century, has been given new life due to the town’s harbourside redevelopment. There’s a walkway connecting the site of the penguin colony with the Oamaru Harbour Tourist Park, passing the historic pier and perhaps the world’s preeminent public display of Steampunk machinery, on the way to the town’s picture-worthy historic district. 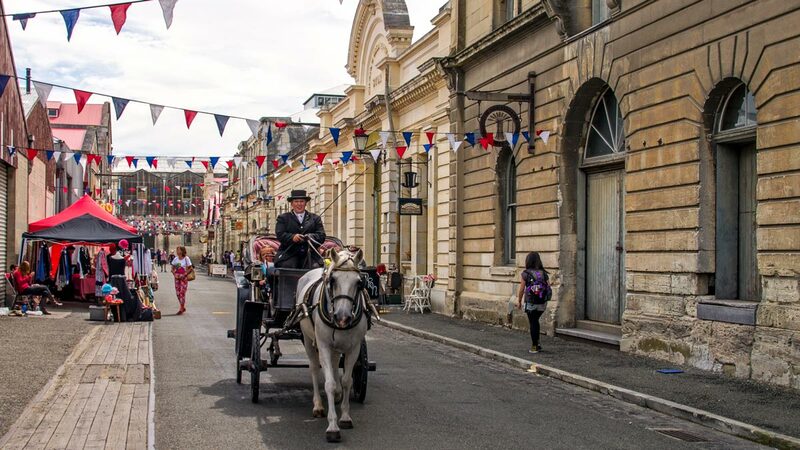 Probably New Zealand’s best-preserved snippet of Victorian life, Oamaru’s historical district looks like a movie set (and is in fact often used for film shootings) with grand Victorian buildings built from highly prized local Oamaru limestone. 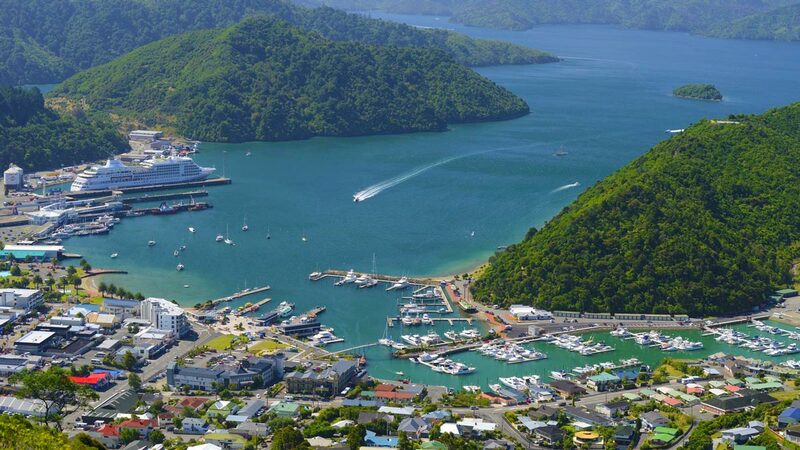 Just a 45-minute drive from the Wellington-Picton ferry terminal, Havelock is a relaxed small town with a cool atmosphere and plenty of things going on beneath the sleepy surface. Being the world capital of green-lipped mussels, it punches well above its weight when it comes to food. Not to mention having numerous art galleries, cafes, a flea market and a farmers market. 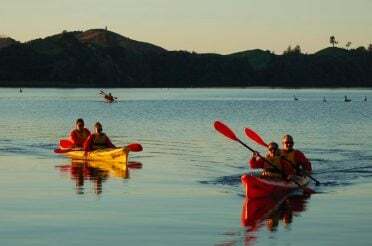 Situated at the head of the Marlborough Sounds and Pelorus river, Havelock is surrounded by beautiful scenery. You can stay in some private lodges with amazing sunset views, like the historic 19th-century Blue Moon Lodge. 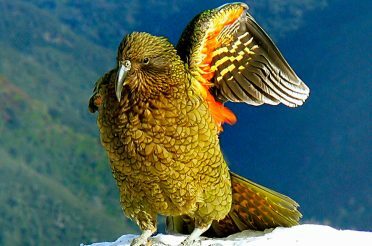 In addition to boat and fishing charters that will take you into all the coves and nooks and crannies of Pelorus and Kenepuru sounds, you’ll find lots of great bush walks and wildlife spotting if you head inland - including a rare bat at Pelorus bridge which is New Zealand’s only native land mammal. 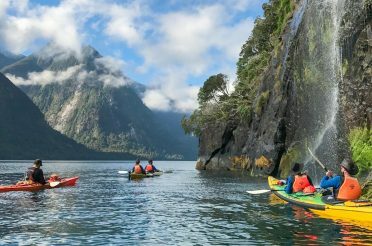 You can even kayak the river used by Lord of the Rings director Sir Peter Jackson for the dramatic barrel escape scene in The Hobbit: The Desolation of Smaug with Pelorus Eco Adventures' Hobbit Kayak Tour. 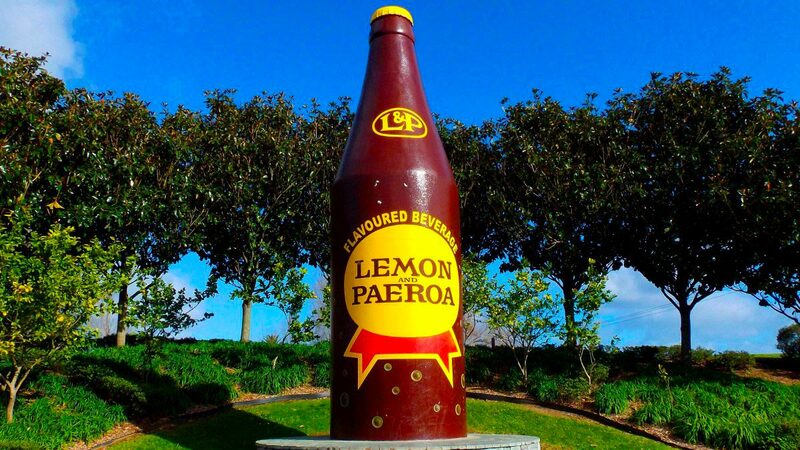 World famous in New Zealand for coining the phrase world famous in New Zealand, L&P (Lemon & Paeroa) is the hometown hero of this small historic Coromandel town, and few self-respecting kiwis would miss the chance of snapping a photo in front of the giant L&P bottle on the town’s main street. However, forget about nostalgia (the bottle only marks the former, original factory site of New Zealand’s most beloved homegrown soft drink) and hang around a bit longer. You’ll find that laid-back Paeroa has a lot more going for it than the country’s most iconic fly-by photo opp and access to the Coromandel beaches. The first thing you might notice about Paeroa is the incredible number of antique and vintage stores that seem to number about one per person. These are not overpriced hipster vintage stores like you see popping up in the bigger cities, but rather a reflection of Paeroa’s rich and vibrant past. Those with the eye for it will find some genuine antiques and rare items detailing Paeroa’s alternating booms and declines of population from the time of Captain Cook’s exploration of the area in 1779 through Paeroa’s peaks as a worker and migrant hub during the late 19th-century gold rush and as a pivotal point on the railways, which gradually wove their way across Hauraki through the bush-clad hills of the Coromandel. 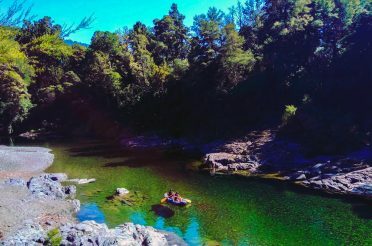 This has left intriguing relics of the past dotted through the stunning Karangahake Gorge, and a walk following the disused railway should not be missed by anybody visiting Paeroa, even if just for a day! Only a 2-hour drive from Auckland and barely an hour from Hamilton, Raglan feels a world apart from city life. Raglan is first and foremost recognised as one of New Zealand’s very best surf towns. Numerous world-class breaks and beaches in the vicinity make it one of the most consistent surfing spots in the country, and several of New Zealand’s premier pro surfers take up residence in Raglan. You don’t, however, have to be a pro surfer to enjoy the beaches, which are well patrolled by lifeguards, You’ll find plenty of learn-to-surf companies catering to surfers of all levels, including first-timers, as well as other water activities. 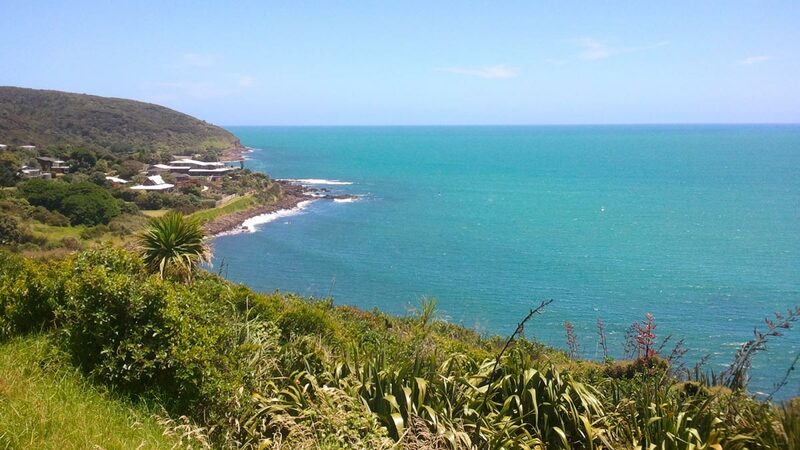 However, Raglan isn’t only about the surf. On the back of its surf crowd has followed a slew of gigs and music festivals, whether you’re into string quartets or pulsating house DJ’s. 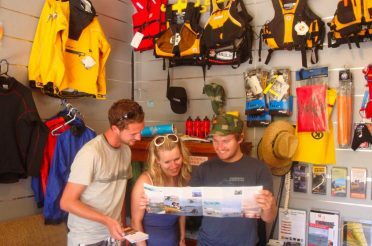 Raglan also attracts a lot of creative types, and you can regularly find craft workshops, art exhibitions, cultural shows and even monthly movies at the old school house. Despite its small size, Raglan also has one of Waikato’s most diverse dining scenes, with its small collection of eateries covering everything from casual cafe fare to vegan-friendly meals and high-end degustation menus. 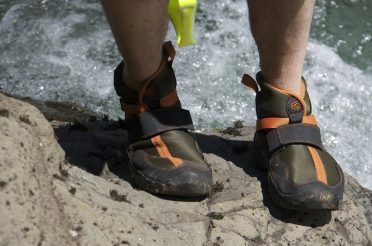 What are the best shoes for kayaking in New Zealand?